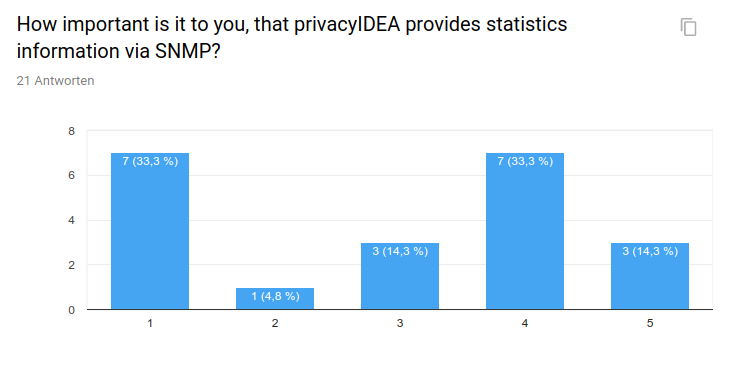 There were 21 users participating in the privacyIDEA user survey 1/2018. Thanks a lot for taking the time to answer all these questions! We will try to give an overview of the answers and we will even try harder to deduce some results and todos from these data. A former math teacher of mine kept pointing out: “Do not trust any statistics, which you did not fake yourself”. And you can always see, that statistics data can be interpreted the one way, or the other. …well, lets take a look. How do people know about privacyIDEA? 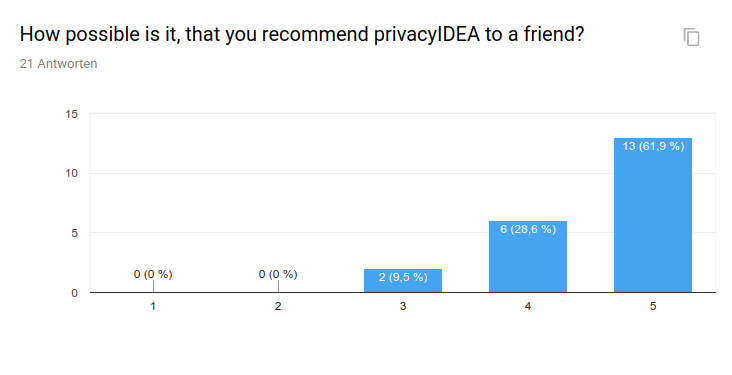 Users would recommend privacyIDEA to their friends! about privacyIDEA, having portals and newspapers talking about privacyIDEA and also attend conferences to talk about privacyIDEA. Yes – we will attend the LinuxFest NorthWest and the Grazer Linuxtage in April. 29% were told by a colleage or friend about privacyIDEA. Once a user has his first contact with privacyIDEA, we very much need to take care, that he likes privacyIDEA and that he will also talk about it to his friends. And thankfully a lot of users, would recommend privacyIDEA to their friends. Of course, the best way to achieve this, is that we listen to you – the users. So if you have anything to tell us, please join the community forum or open an issue at Github! In which scenario is privacyIDEA used? We also asked, for which scenario privacyIDEA is used. In most cases it is used with VPNs and Web applications. No wonder, since it also works well in these scenarios. We know, that we might need to improve the Windows Logon – only 14% used it in this case, but we think there is a bigger need for a secure Windows Logon with privacyIDEA. So NetKnights will be working on improving the privacyIDEA Credential Provider. On a scale from 1 to 5 the overal satisfaction level is an average of 4.3 which we are very proud of. I think one reason might be, that we always try to improve privacyIDEA. But this is not the sign for us to rest on our oars. We see it as your expectation: We need to keep up the responsiveness, new ideas and features and regular releases. Thank you – we heart you! We also ran the survey to get an idea what you think about our next feature idea to improve the monitoring and statistics. We interpret the results that it is more important to you that you can fetch statistics data via the REST API. 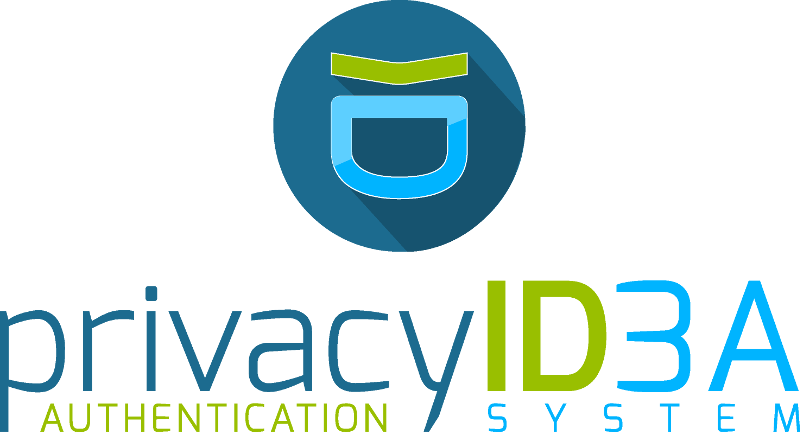 Well, as privacyIDEA is a REST system, we would probably implement such a REST API, anyways. But it tells us, that we might go slower on the SNMP topic. 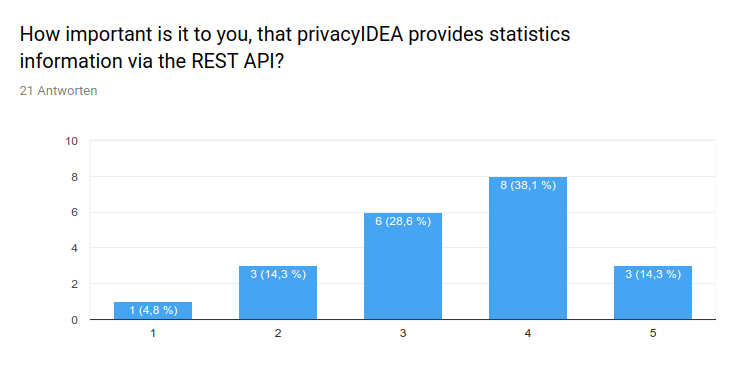 Users prefer a REST API. SNMP might only come in second. No RAM and CPU information. This is why we plan to provide a complete flexible statistics module in the next privacyIDEA release. We are discussing and gathering idea as usual on GIthub. We have a special label for the statistics and several issues to cover this topic. 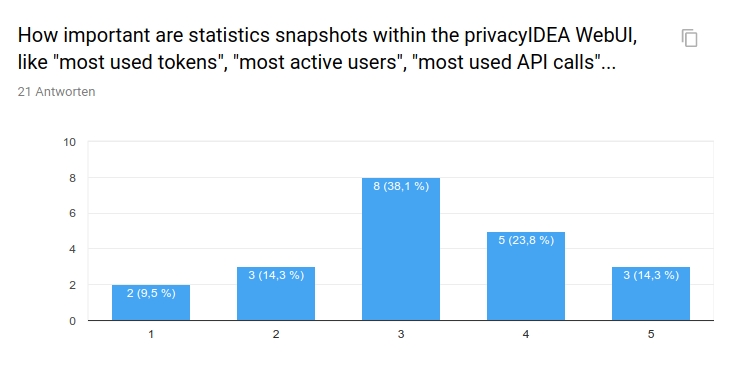 If you want to participate and influence the privacyIDEA development even further than via the user survey, feel free to join the discussion at Github! …and don’t forget to stop by at the community forum!